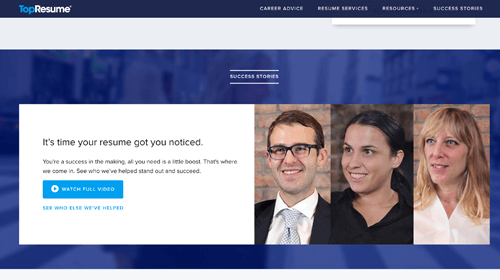 TopResume.com claims that the client will get more interviews, guaranteed. Through their resume writing service, you should get twice more job interviews. If that doesn’t happen, they will happily rewrite your resume for free. How does the process work? They offer full collaboration with the writer that will provide a first draft which will be delivered in about a week. After that, you can choose if you want any modifications done to your resume in up to two rounds of revisions. There are three main packages to choose from, each of them coming with different features. Resumance decided to deal with the company in more detail. A detailed review of this company is on the way. We advise you to use the services of only those websites that have already been verified.